Your website might be the best you have ever seen, but you really need to find a way to get others to notice it. If you have grown frustrated because you are not getting the number of new visitors that you had hoped for, the problem may actually lie with the design of the site itself. You need to make sure that the design and content is such that search engines can easily find it. If they can't, then prospective customers won't be able to either. 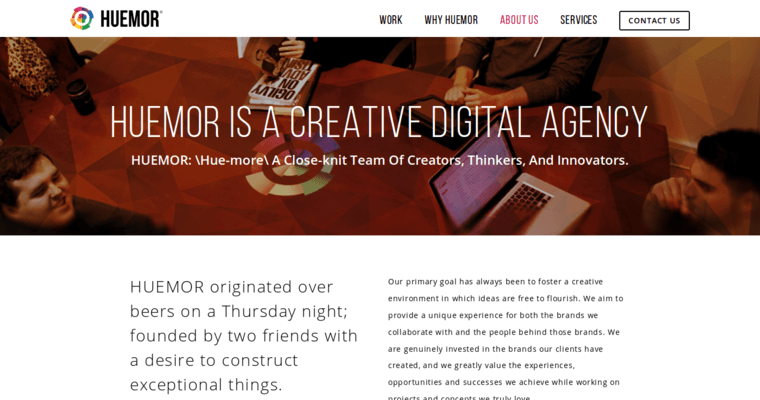 To begin this process, all you have to do is talk to the team at Huemor Designs and learn why they are the best SEO web design firm in the region today. They make it their objective in life to design great websites for their clients that are SEO friendly. So, not only will the site look great, people will be able to find it as well.